Now that Christmas is over we can start focusing on the next fun holiday…Charlotte’s birthday. I mean Valentines day! You know, the Hallmark holiday that convinces the men in our lives to purchase us chocolate and flowers? Valentines Day is also a fun time to do kids crafting and brings back nostalgia for me of jar glue and glitter and sprinkles and hearts! I wanted to give you a fun – and easy- craft that you can do with your kids that is perfect to create homemade cards, cute decor for an upcoming party, or exchanges with friends. 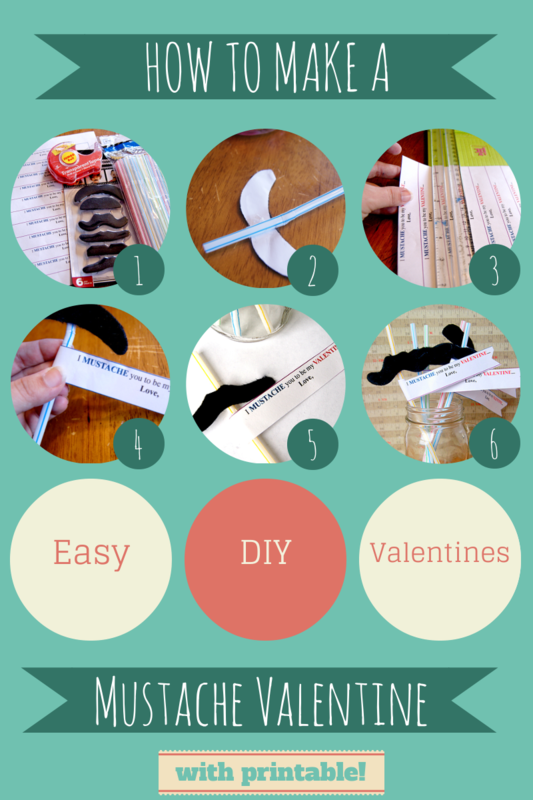 Plus, at the end, I have two printables that make this already dollar tree craft even easier! And your end result is a super cute craft that can be used many ways and looks adorable set up as decor as well! Now I know how busy all you moms are, so I wanted to make sure I included a few little goodies as well to make this even easier. 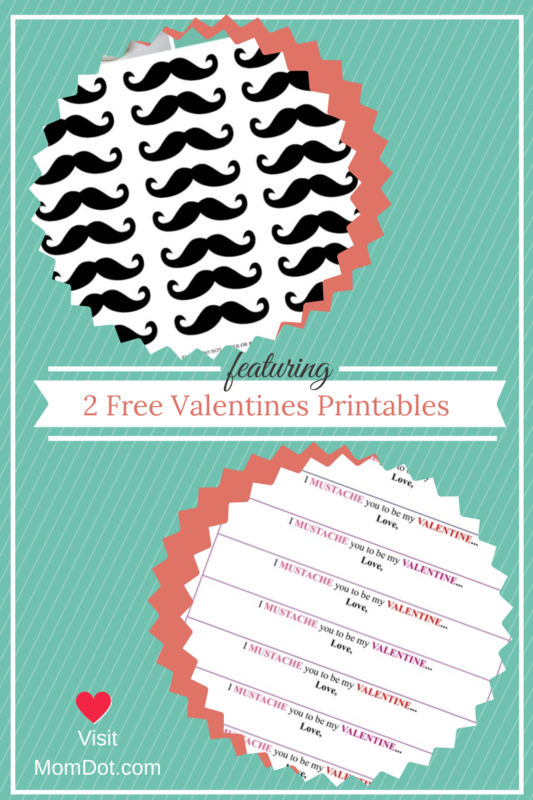 If you cannot run to the store right now to buy fuzzy mustaches, feel free to use this adorable free printable I made that includes 21 mustaches that you can print out and cut instead. Follow me on Pinterest to get more goodies and I will be bringing new Valentines Day fun all January long! « Rainbow Pancakes with Rainbow Syrup. Kinda. Oh crap….now I have to decide between this and the pencil craft! Darn you! Those are too cute! My son would get a kick out of them. Super fun! My kids will love these! Ha ha, such fun! I think I have a pack of mustache’s here somewhere! These are way super cute!! Thank you for the printables, my kids are going to have a blast!